I recently came back from a trip to the UAE for work and had the best time. I ended up on a group press trip to Ras Al Khaimah which is an emirate just north of Dubai, just 45 minutes from there by car. 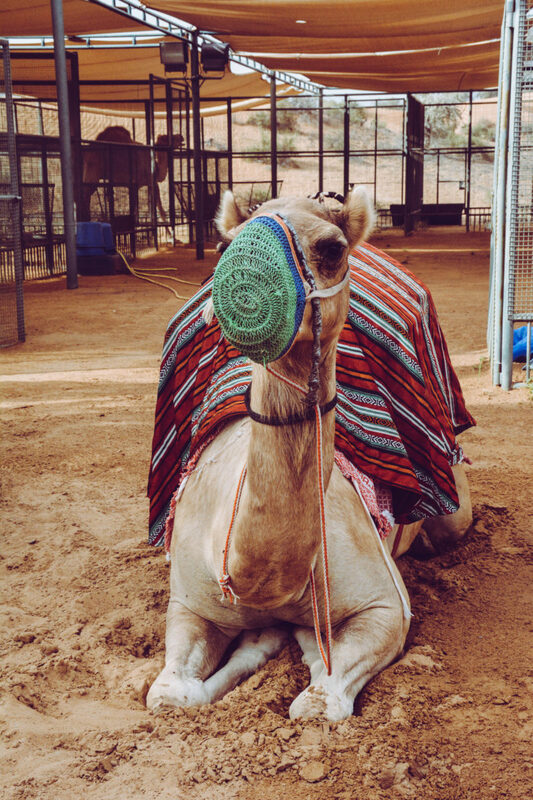 Because the trip was so last minute, I wasn’t quite sure what to expect from Ras Al Khaimah, but I left knowing somehow that I will definitely be coming back at some point. In just a number of days, i’d had so many new experiences from dune bashing, ziplining and paddle boarding to kayaking through the mangroves. But it was definitely the desert that stole my heart. I’ve always been a big fan of the desert – I just love the beautiful colours and the feeling of stepping onto the sand dunes. 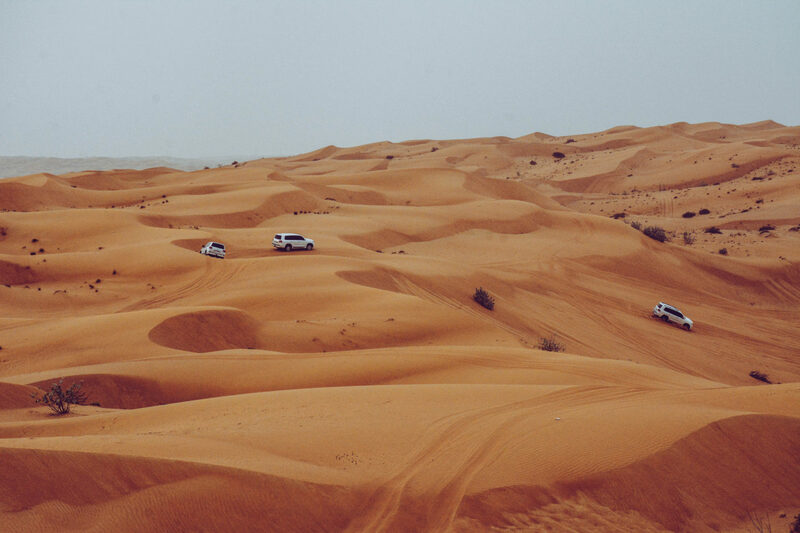 We spent an afternoon in a 4×4 dune bashing and skidding around in the sand. I’m not going to lie, it was both fun but also a little scary (the dunes were huge!) and halfway through I did double check with myself that I had travel insurance! After we were finished with the dunes, we were treated to afternoon tea on a high point on the dunes, watching the sunset and drinking Arabian Coffee – it was really delicious. It was a bit of a shame that it was cloudy as I imagine that the view of the stars at night would be amazing. 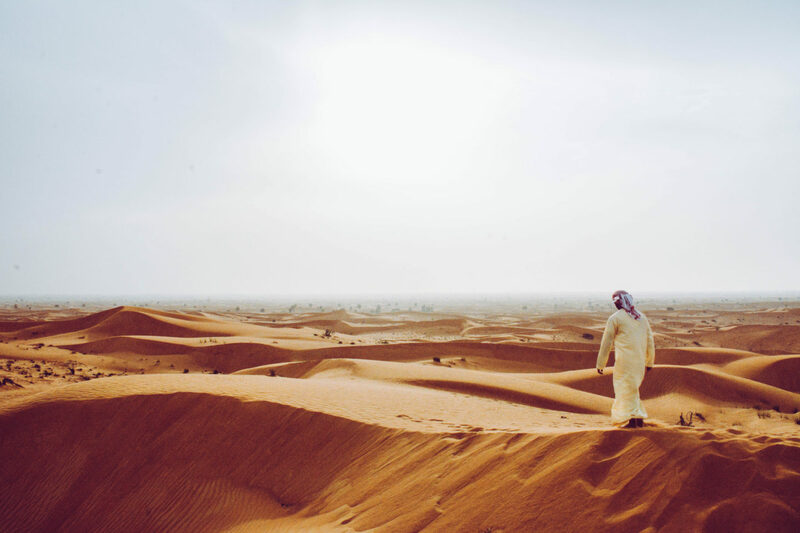 And then after that we spent some time in a village where there were performances by locals and you could also ride camels and try out sand boarding – although I wasn’t brave enough to try sand boarding and I was concerned about all of the children wandering around. 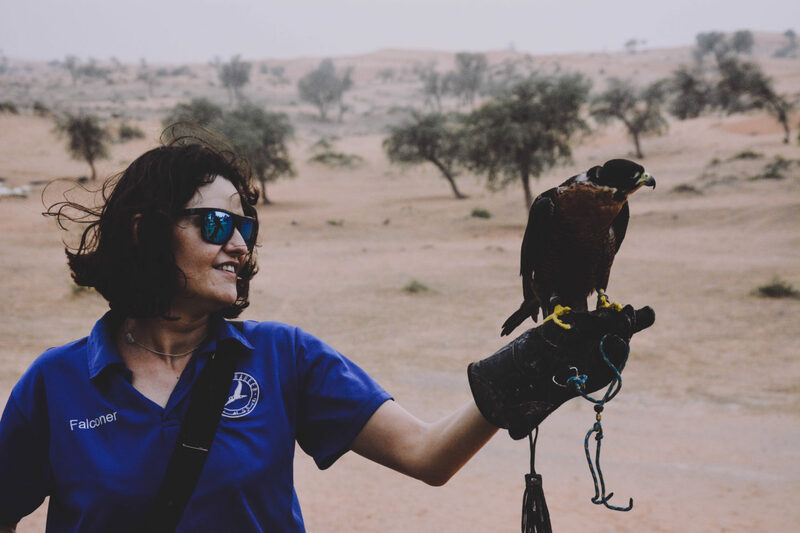 We were taken to see the falcon show at the Ritz Carlton which is on a protected nature reserve right in the middle of the desert. The show lasts just under an hour but allows you to see how the beautiful birds would hunt in the wild. 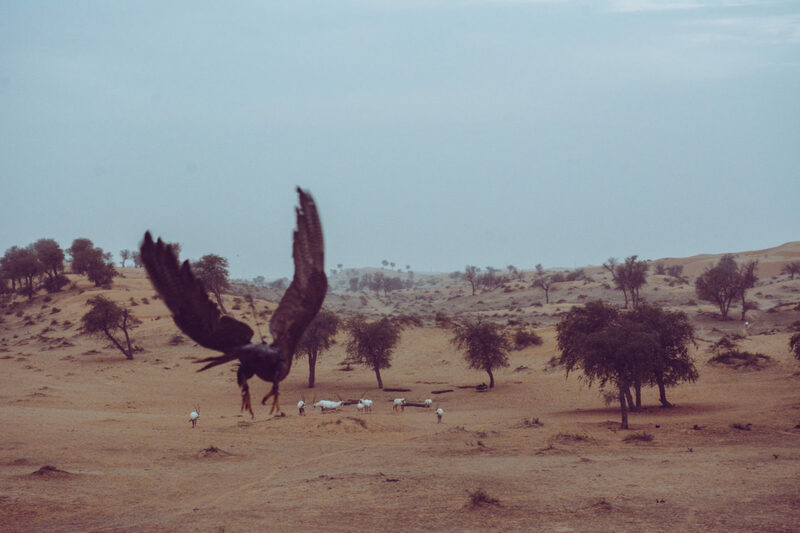 Falcons are incredibly important in Emirati culture as they were used by the Bedouins to hunt. We were also given the chance to get up close with the birds and also hold them if we wanted which was a great experience. While we were there we also got to see Arabian horses and meet the local Oryxes. After just three nights in Ras Al Khaimah, I was sad to leave but if I come again i’m 100% camping out in the desert! My stay was part of a press trip for a freelance client of mine. I’ll be sure to post the full review from their site when it’s up. I stayed at the Doubletree by Hilton Ras Al Khaimah and flew to Dubai with Royal Air Brunei. All thoughts and views my own. 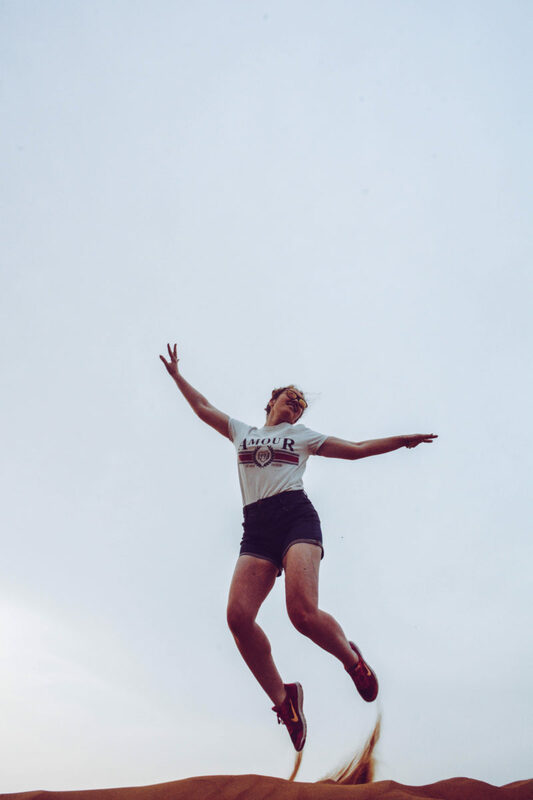 "The ups and downs of being a freelancer"